Achievements by minority groups instill pride and historic significance. The concept of the open book design signifies multiple meanings including life and learning. In the case depicted here, 52 African-American lawmakers are honored for overcoming great odds to serve the great state of Texas. 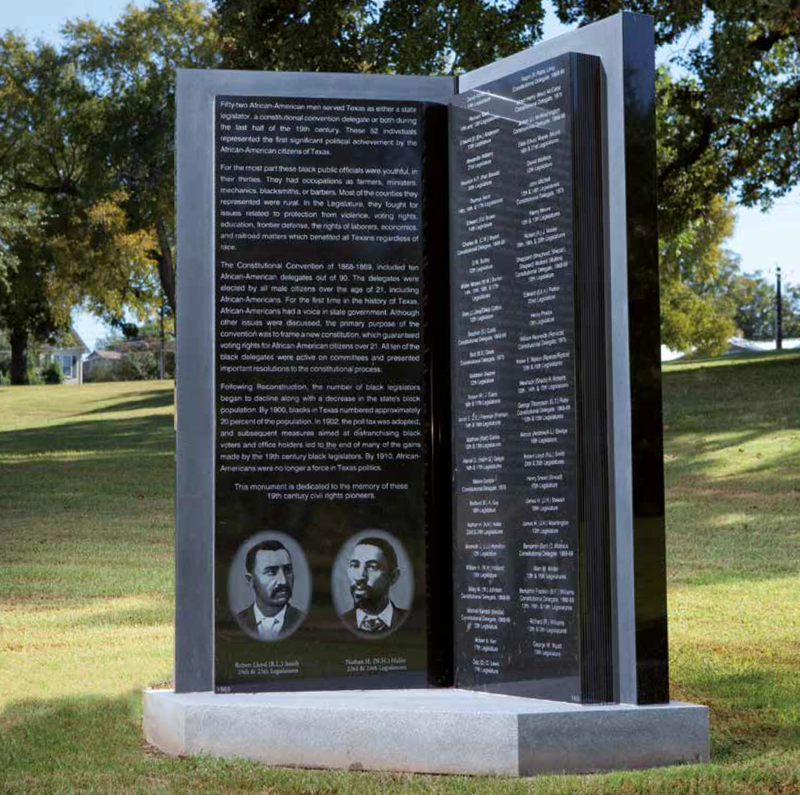 These early civil rights pioneers are brilliantly inscribed with laser etching on the two panels of the Black Supreme Memorial.